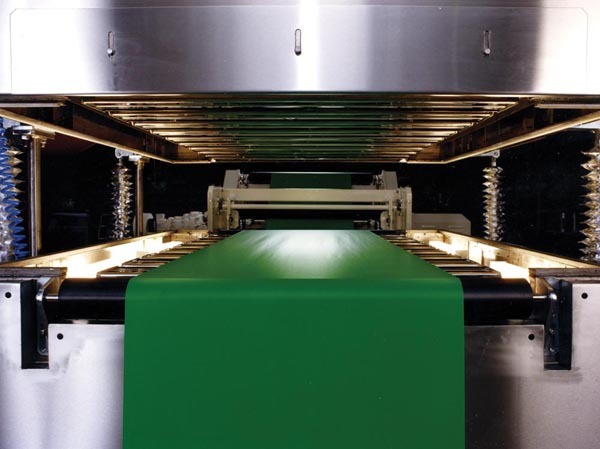 As designers of precision systems for the coating, laminating, flexible packaging and printing industries, Delpro Limited has developed a number of innovative systems that enable end-users get the best out of their production lines – notably, in these challenging times, two reliable drying systems that have been shown to improve quality and increase output. With low running costs, the company’s modular air flotation system supports the web on a cushion of air through the drying process and brings extreme sensitivity without loss of efficiency to the drying and curing of printed or coated continuous web materials. Supplied in two-metre modules that can be linked to achieve the required length, temperature, air velocity and humidity (or solvent control) are independently controlled at each module. The system is versatile; where initial drying of coatings sensitive to “skinning” or solvent entrapment is required, the web can be supported and heated from the under side only. Additionally, emulsion-based coatings can be exposed to maximum heat and air immediately after application to minimize migration and print mottle. Impingement jets, powered air flotation or tendency-driven roll supports can all be fitted if required. Delpro's second system is an impingement jet dryer, designed to provide even, controlled and energy efficient drying of solvent or water-based inks and coatings over a wide range of coating weights and drying rates. The modules are supplied fully assembled requiring only to be mounted in position and connected to an energy source, exhaust duct and control cabinet. As with the air flotation system, each individual module has independent control of operating parameters. Subject to drying profile, this system will remove up to 6.0g/sq.m of water or solvent per 1850mm module at 100 m/min or pro rata. The heat source may be supplied by internal steam, thermal oil or electric heat exchangers, or utilising external gas burners or recovered heat. As with all Delpro products, both systems can be adapted and retrofitted to existing machines or customised to meet the requirements of special drying needs. Delpro engineers will work with the client to establish the most efficient specification and then oversee installation and commissioning as well as provide post-sale support.